Our time at Isaacs Creek Campground is up and we have moved north to Monte Sano State Park near Huntsville, Al. We will be here until Sunday. 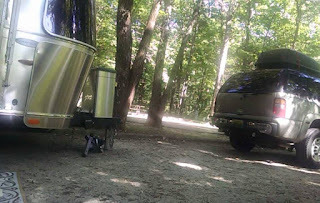 We are meeting some friends from Mobile and other areas for a mini Airstream get together. BTW, our closing us set for Friday at 11 am. The title company will email our docs and we will print them out and overnight them back. This saga should be over soon!